A San Francisco running back breaks out, the Cardinals' offense combusts and a familiar 49ers cornerback makes his highly publicized return to Seattle. The NFC West’s slate of games this week include much more than a prickly reunion between the Seahawks and Richard Sherman. Let’s take a look at Week 13 of The Times’ NFC West Awards. Most valuable player: RB Matt Breida, San Francisco 49ers. Matt Breida is not a fluke. The second-year running back out of Georgia Southern, who was undrafted in 2017, rushed for 106 yards on just 14 carries and added three catches for 34 yards in last week’s 27-9 loss to Tampa Bay. For the season, the unexpected starter has rushed for 738 yards, 5.8 yards per carry and three touchdowns and added 158 receiving yards and two more scores. The 49ers lost presumed starter Jerick McKinnon to a knee injury before the season, but they haven’t needed him. The 5-foot-11, 190-pound Breida — who has been limited in practice this week with an ankle injury — has more than filled the gap. Least valuable player: CB Bene Benwikere, Arizona Cardinals. This week’s winner of the least valuable player award was so underwhelming that he started a game on Sunday and was released by the team on Monday. Such was the fate of (now former) Cardinals cornerback Bene Benwikere, who was pulled during last week’s 45-10 loss to the Chargers in favor or David Amerson, a player who was signed twice and released once in the same week earlier this month. Against Benwikere and Co., all Chargers quarterback Phillip Rivers did was complete 28 of 29 passes — 96.6 percent — for 259 yards and three touchdowns. That’s the kind of performance that will get an opposing player fired. Spotlight statistic: The Cardinals are tied for last in the NFL in net yards per pass attempt (4.8). They also rank last in passes of 20 yards or more (24). So what does that mean? Not only is Arizona’s offense inconsistent when it comes to completions, they’re also the least explosive passing offense in football. In eight starts this season, rookie quarterback Josh Rosen has thrown for an average of 185.6 yards per game and tossed as many interceptions (10) as touchdown passes. It doesn’t help that he’s surrounding by one of the least imposing set of skill players in the NFL. Unfortunately for fans, the Cardinals aren’t just bad. They’re boring. 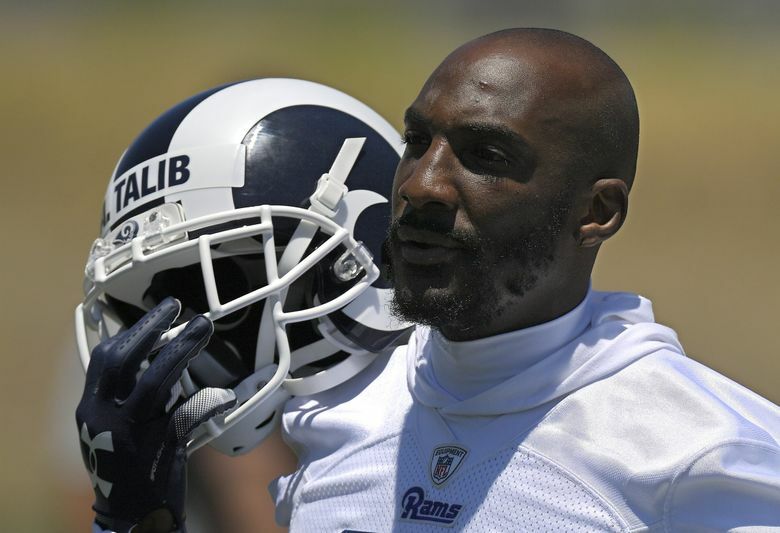 Most impactful return: CB Aqib Talib, Los Angeles Rams. The five-time Pro Bowler has missed the Rams’ last eight games with an ankle injury. Maybe it’s no surprise, then, that the Rams rank just 27th in the NFL in opponent quarterback rating (101.6) and 19th in passing defense 252.6 yards per game). They’ve also surrendered 12 passes of 40 yards or more, the most of any team. Marcus Peters has underwhelmed, but the Los Angeles defense desperately needs a physical presence like Talib in the secondary. If he indeed returns against the Lions this weekend, one of the strongest teams in the NFL will suddenly get even stronger. Game of the week: 49ers at Seahawks, 1:25 p.m. Richard Sherman is returning to Seattle. What more do you need to know? This week: at Packers, 10 a.m. This week: at Lions, 10 a.m. This week: at Seahawks, 1:25 p.m.